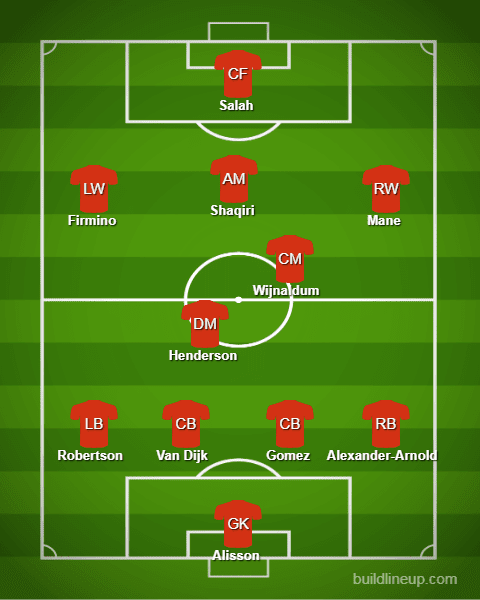 Liverpool Vs Man City:Liverpool’s strongest possible 4-2-3-1 XI vs Man City,klopp to make key Change-Shaqiri starts After winning seven games in all competitions, Liverpool have failed to win in their last three fixtures and Klopp will surely look to bounce back when the Reds collide against champions Man City tomorrow. The Sky Blues are currently on top of the Premier League table due to a superior goal difference but it must be remembered that they have lost their last three encounters vs Liverpool. Jurgen Klopp has got to change things after losing against Napoli in the midweek. The Merseysiders were dominated by the Italians in the Champions League and Liverpool’s midfield looked really tired. The German manager needs to attack Man City and should utilize a 4-2-3-1 formation with which the team won their last contest against Southampton. 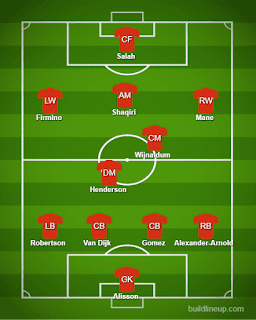 Shaqiri should return to play in the No.10 role behind the center forward, who should be Mohamed Salah and not Firmino.